See the bicentennial special commemorative insert in the Sept. 24, 2015 Grove City Record. Our Pilgrim forefathers brought the township form of government to the Americas in 1620. This form of government spread as far west as the Rocky Mountains, and today, 22 states have the town or township form of local government. Townships in central Ohio were established by the Virginia Military District and laid out in five or six square mile tracts. It was common to name townships after the revolutionary founding fathers (Adams, Jefferson, Madison, Washington, etc. ), early presidents or unique environmental features. In Ohio, there are 37 Jackson Township’s across Ohio’s 88 counties named in honor of Major General and later the 7th U.S. President Andrew “Old Hickory” Jackson who was a national hero after defeating the British in the Battle of New Orleans in 1812 later became president in the election of 1828. His nickname “Old Hickory” was based on his tenacious reputation in which he fought in several duels and his aggressive character embodied those of the common settlers endearing him with widespread popularity at that time. 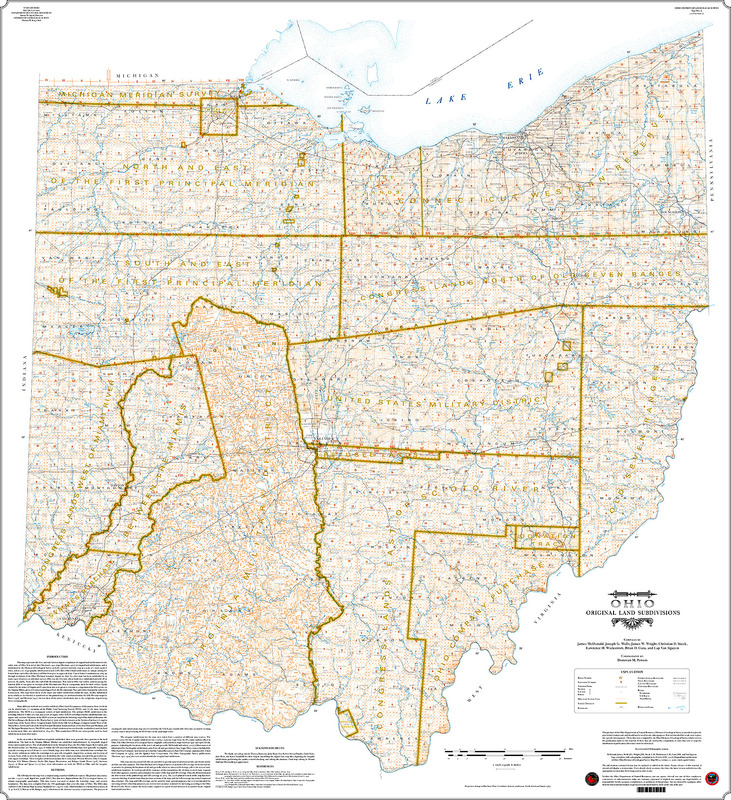 The state of Ohio was created on March 1, 1803, and Franklin County created shortly thereafter April 30, 1803. The original areas of southwestern Franklin County (which later would become Jackson Township) was simply known as the “Pleasant Township”. This large area of unsettled land subsequently was reduced in area by the formation of Jackson Township in 1815 and the survey of Prairie Township in 1819. Jackson Township in Franklin County was originally settled in 1805 by Hugh Grant and his wife Catherine Barr. Hugh was a native of Maryland and moved to Ohio in 1804 and purchased 450 acres of land along the Scioto River south of Columbus. Grant died shortly after arriving and his widow continued to farm the land with her children until her death in 1836. Adam G. Grant (A.G.) was responsible for much of the early development in Jackson Township, including a brickyard and bank. Grant also developed much of the area west of Harrisburg Pike and named the area Beulah Park after his daughter Beulah Grant. Early settlers of Jackson Township included Jonas Orders, John Curry, Samuel Breckenridge, Percival Adams, William Duff, James Seeds, John Hoover, William Brown, Jacob Borror (a revolutionary war veteran), Henry Baumgartner, John Neff, Hawes Barbee, Nicholas Haun, William Badger, Woolry Conrod, Valentine Shover and the Strader, Borror and Goldsmith families. Descendants of many of these early settlers still live in Jackson Township and Grove City to this day. There are several cemeteries in the township containing family plots with the oldest known gravestone located at the Marsh Cemetery on Home Road. That headstone reads “Elijah Gardner, son of C & SL, died May 18, 1785”. There was no village or post office until the small village of Grove City was laid out in 1852 by William Foster Breck. W.F. Breck’s first expedition to Jackson Township occurred in 1846 where he was looking for fertile land and a possible new homestead. In 1848, the Harrisburg Pike was built which then connected the small village of Harrisburg to the much larger city of Columbus. William Breck and other entrepreneurs saw the opportunity to lay out a village with merchandise stores along a 15 acre section of the Harrisburg Pike that would originally become the foundation for the village of Grove City. The village charter was petitioned by 37 early settlers and the charter was approved by the Ohio state assembly March 13, 1866. In addition to farming and agriculture, there were other industries developing in the Jackson Township area such as a steam-powered sawmill built by Robert Seeds near Grant’s Run, drain tile, clay and brick factories, wagon and blacksmith shops, various general stores and a hotel. The first church in Jackson Township was the Scioto Chapel erected by the Christian Faith denomination which organized in 1812. The Methodists built Jackson Chapel in 1859 and part of that building remains to this day at the corner of White Road and Jackson Pike (State Route 104). The first physician to settle in Jackson Township was Dr. Joseph Bullen who arrived in 1852, was elected the first mayor of Grove City in 1867 and died in 1878. By the 1880s, Jackson Township had 10 school houses and at least eight different churches. See map of Jackson Township dated 1883 with a population of 2,092. Ohio’s township form of government is much the same today at the Jackson Township created in 1815. Each township is governed by three elected “Township Trustees” and one “Township Fiscal Officer.” The elected officials serve four-year terms of office. Jackson Township today has nearly 120 employees providing emergency medical and fire service, park, road and cemetery maintenance and administration and zoning. Total Township 41,529 the Township is approximately 34 square miles in service area. There are approximately 1,308 townships in Ohio comprising roughly half of the total population of the state. Although township officials fill their offices on a part-time basis, they are always ready to meet their responsibilities face-to-face and are able to deal effectively with modern problems because of their intimate knowledge of the community, its needs and its people. Townships in Ohio generally offer more personal service, more attention to individual needs and a better understanding of local problems than any other unit of local government. 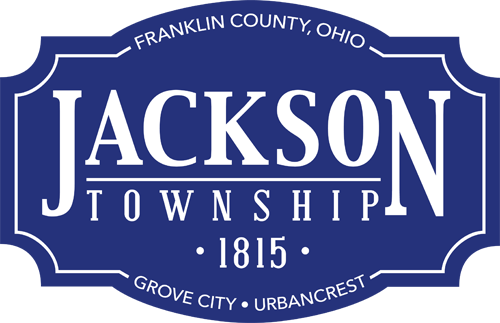 Jackson Township is the 14th largest township in Ohio according to 2010 U.S. Census data. Learn more at ohiotownships.org. 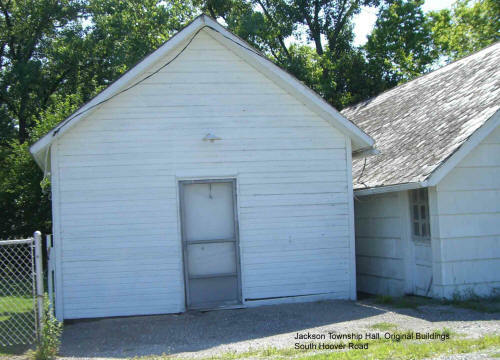 The original township meeting hall was located south of the old Concord Cemetery on Hoover Road was last used as a public meeting hall in the 1950s. Today, that original township hall is a seldom-used storage building associated with the Concord Cemetery Association. The current Township Administration Building is located at 3756 Hoover Road. The land was acquired from Carl and Jennie Ziner in 1964. 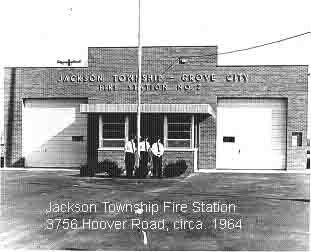 Soon thereafter commenced construction of the nearby fire station that opened in 1964-1965 and today is the township’s administration building. The building was substantially renovated into the current Administration Building and Public Meeting Rooms in 1994. A truss-style roofing system was added in 2006 to fix leak problems resulting from the building’s original flat roof. Today, the township administration building is used by more than three-dozen local groups and civic organizations free of charge. Anyone interested in using the building should call (614) 875-2742. Download the building reservation form. 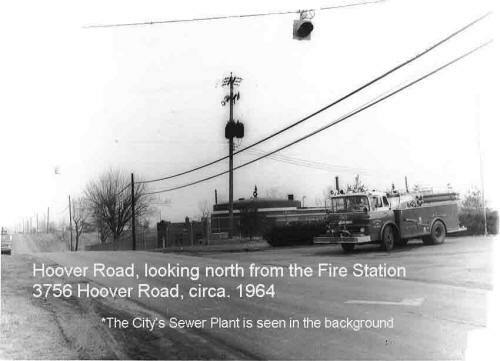 Anyone interested in local history may also want to contact the Southwest Franklin County Historical Society for more information or to become involved in local history projects: grovecityohhistory.org. Read the Southwest Pioneer December 2017 newsletter and The Society Monthly June 2017 newsletter.